*Note: Program is now full. *Now taking registrations for the 2019-2020 English program. If you are interested in registering for the program, please complete the registration form below and we will contact you with further information. Front Row left to right: Silvie Crawford, Kingston Health Science Centre, Kingston ON; Brenda Carter, Kingston Health Science Centre, Kingston, ON; Leticia Adair, Rocmaura Inc. Saint John, NB. 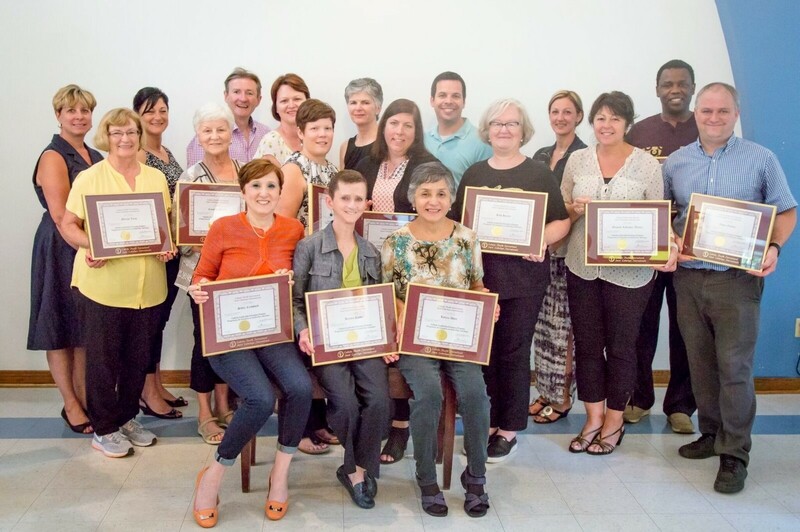 Second Row: Marion Long, Rocmaura Inc., Saint John, NB; Caroline Manley, Kingston Health Science Centre, Kingston, ON; Sandra Urquhart, Hotel-Dieu Hospital, Perth –Andover, NB; Mary Ellen Campbell, St.Joseph’s Hospital, Saint John, NB; Beth Harris, St. Joseph’s Hospital, Saint John, NB; Gizanne Lafrance-Allaire, St. Joseph Continuing Care Center, Cornawall, ON; Owen Gibson, Mount St. Joseph, Miramichi, NB.